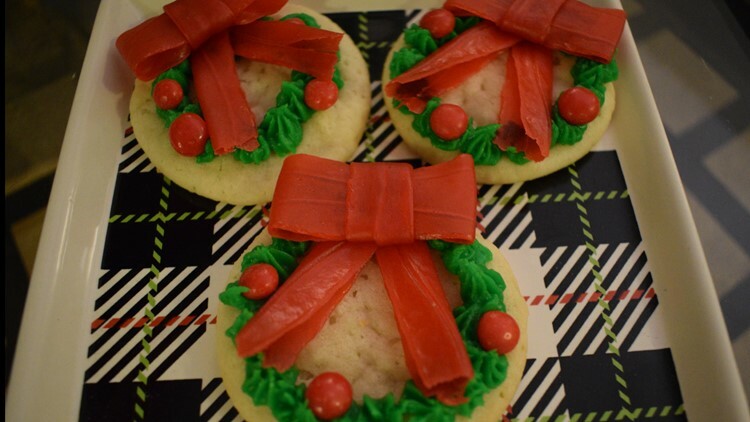 Easy decorating ideas to make adorable Christmas cookies that will have everyone impressed. Do you want to create an impressive tray of cookies this Christmas but you haven't spent years perfecting your royal icing technique? There are a lot of creative ways to make Instagram-worthy decorations without needing hours of time or Food Network-level artistic talent. 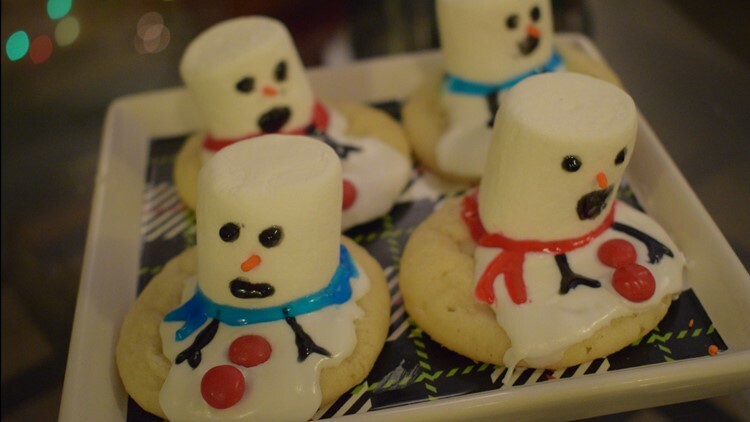 You can use marshmallows to create adorable melting snowmen. Pipe royal icing onto cookies to look like a puddle, letting some of it run off the sides. Put a marshmallow on top toward one side. Decorate your snowmen using gel decorating tubes. Add eyes, a mouth and nose to the marshmallows, and arms and a scarf to the puddles. Use red hots or mini M&Ms to add buttons to the puddles. Let the cookies dry before moving. Fruit by the foot makes excellent candy bows. Shape each section of the bows by using a piece of the candy and sticking it together. 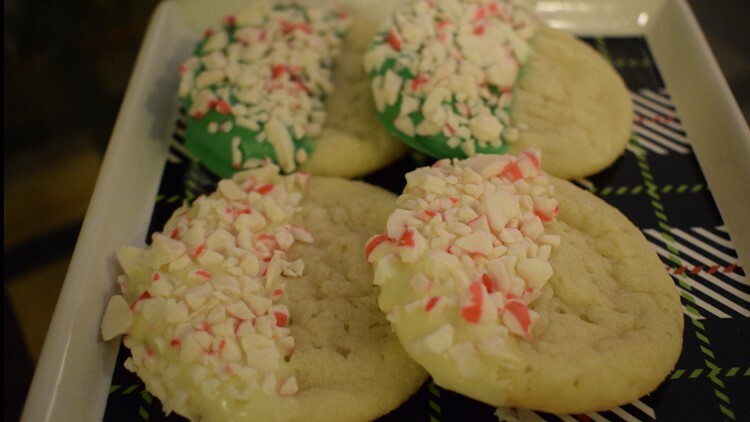 Then, use a star tip to pipe green frosting in a circle on each cookie to create a wreath. Add holly using red hots. Top the wreaths with your over-sized bows. 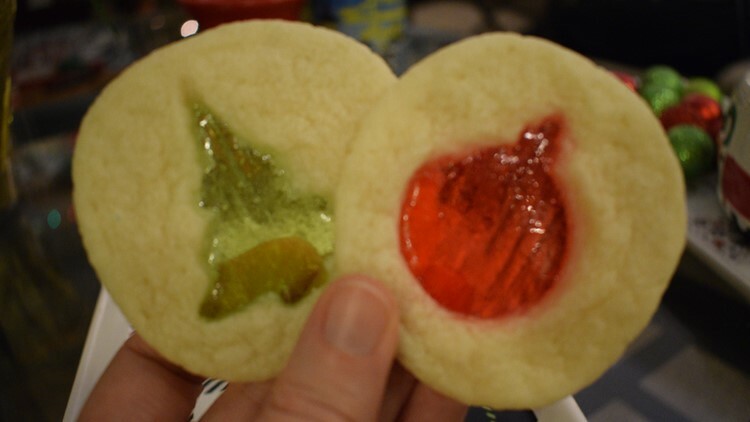 Make fancy-looking stained-glass window cookies just using jolly rancher candies. When the cookies are about half-way done, take them out of the oven and cut a Christmasy shape out of the center of each. Fill the windows with crushed up pieces of jolly ranchers. Put the cookies back in the oven and finish baking them. As they cook, the candies will melt, filling the shape. You can use candy coating to create 3D Christmas trees that works as a cute cookie topper. Melt green candy melts and pour the liquid into a bag. Cut off a small corner. 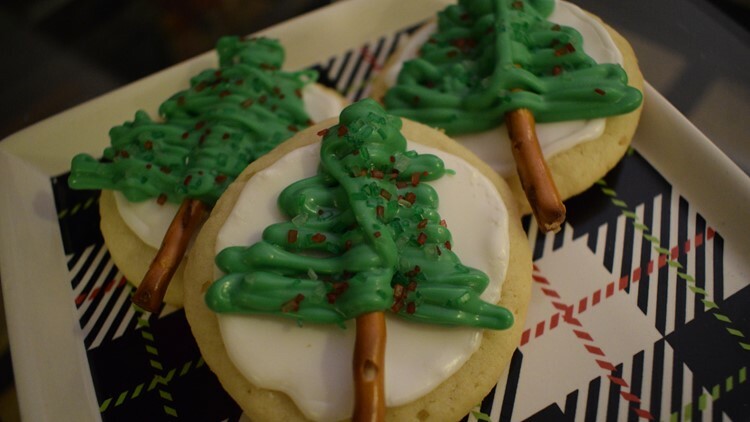 Place pretzel sticks on wax paper and drizzle them with the candy coating, creating a tree shape. You can also top with sprinkles for a little sparkle. Once they are dry, add a small amount of royal icing to the back and "glue" to your cookies. Melted chocolate can also be used for a very simple but classy look. Dip cookies about half-way in any color of melted chocolate. Then, sprinkle them with crushed candy canes. Let the chocolate harden.